I don’t normally post entertainment videos, I simply don’t run a viral video kind of site. The videos I’ve posted are ones I feel inspire, educate, and kick-start adventure. 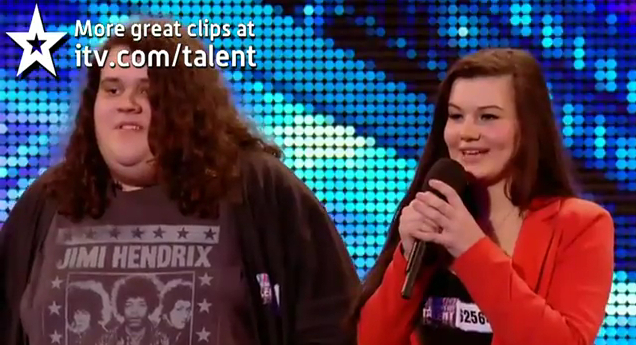 But this video from Britain’s Got Talent blew me away. Before you play the video, let’s have a quick look at the contestants, shall we? Meet Jonathan and Charlotte. Yeahhhhh… can’t say I would react any differently than ol’ Simon at the beginning, with snarky skepticism (it’s kinda his thing). They’re both precious and all, but c’mon! Enough screen grabs (for now), raise the volume to max allowable level, and hit play. Of course you figured the big fella was going to be talented, but NOT LIKE THAT. I laughed, I nearly cried, and scared my dog with several exclamations of WOW! 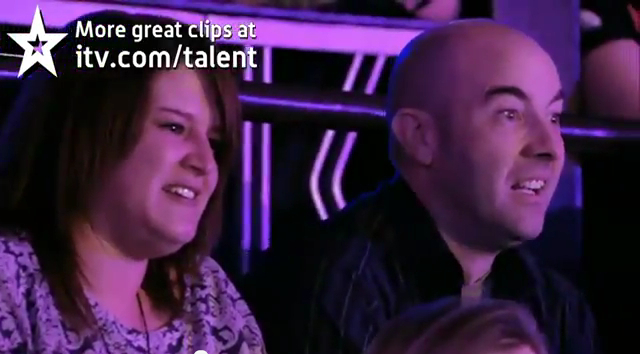 You can’t miss shocked excited guy and his nearly-sobbing lady friend, classic! Judge David Walliams is either praying or telling Jonathan “You bring great honor to your family”. Either way, he’s sold half-way through the song. Even Simon is coming around! The magic of the opera! The British Seacrests are dumbfounded! At the end, everybody’s loving it. 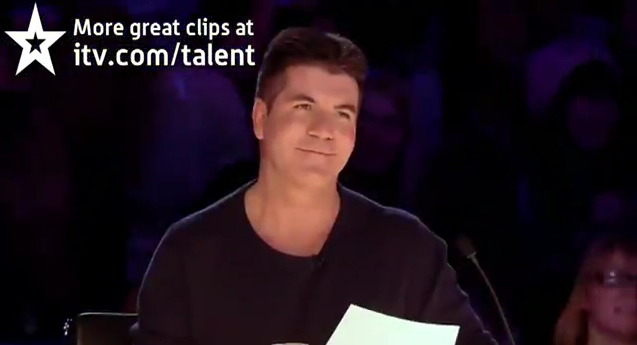 Even Simon, whose expression of happiness looked so strained because he normally doesn’t show these silly emotions. Again, wow. I haven’t seen or heard anything like that since Paul Potts brought down the house. There are also great lessons before and after the performance, where Charlotte talks about not judging a person on their appearance, i.e. ” you can’t judge a book by it’s cover, you have to read it and see what’s inside”. It’s obvious her encouragement has meant a lot to Jonathan, in fact he says so on stage. After they finish, Simon actually suggests Jonathan continue on without Charlotte, because she is merely good. He is incredible. But Jonathan affirms her right back, saying “We came as a duo, and we’re going to stay a duo”. At the beginning, Simon is very sarcastic, and gives a dismissive “You think you can really win?” followed by “Ok good luck”. Jonathan has already spoken about his self-esteem and confidence issues, is standing in front of thousands of people, and the man who controls their fate is rude. And then he goes out and puts on an incredible performance! 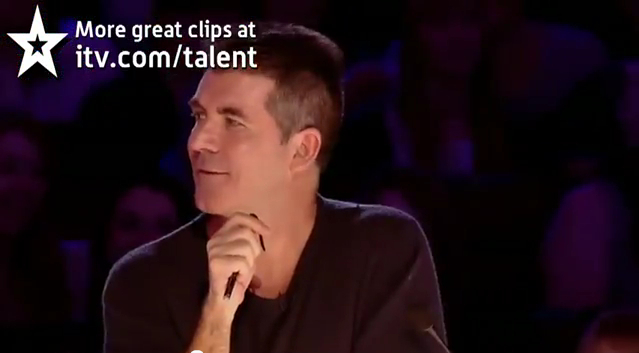 As you continue to create your art and make your mark on the world, there will be people, like Simon, who dismiss you. Don’t listen to them, follow your passions. There will be people like Charlotte, who are beside you, encouraging you, and watching your back. Did you catch Jonathan actually starting a beat early? Charlotte simply gave him an affirming look, and he re-grouped. Just like that. You cannot underestimate the support of others when pursuing your passions. They are integral! So keep singing, writing, painting, working, filming, cooking, and contributing. Bit by bit, you’ll build a community of people who expect your contribution in their lives. When the time comes, put on the performance you know you are capable of. The world needs Jonathan to sing. What does the world need you to do? 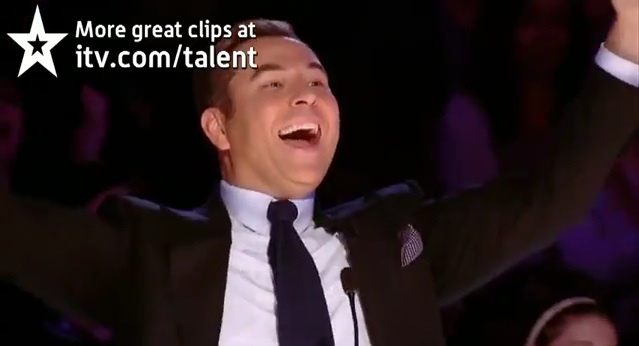 This entry was posted in Links Worth Clicking, Writing and tagged art, britains got talent, charlotte and jonathan, dreams, jonathan and charlotte, opera, passion, simon cowell, singing, talent by mattragland. Bookmark the permalink.